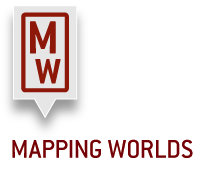 Mapping Worlds recognizes the power of data visualization. With broad expertise in cartography, charting, interactive design, and database technology, Mapping Worlds developed ASTI's interactive online tools including the country pages, data benchmarking tools, and data download tool as well as the website design. Robota is a company that develops software, apps, websites, or more complex IT solutions for a variety of clients. ASTI's Data Management Portal and underlying database architecture were developed by Robota. These innovations have greatly facilitated data collection at the country level and data processing by the ASTI team as well as the generation of the ASTI API. Rua Design provides website design, programming, and consultancy services for a variety of organizations mainly in the field of international and community development. The company has wide experience in setting up, developing, and maintaining its clients’ web presence. Rua Design co-ordinates ASTI's website, including design, content management and integration of data and graphics into the website.